Sporting Kansas City has signed forward Soony Saad to a two-year contract, reuniting the Lebanese forward with the Major League Soccer club. The deal includes an option for the 2019 season and was announced Monday by the team. 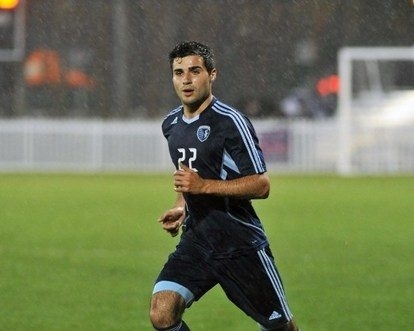 Saad played for Sporting KC from 2011-14 before spending the past two seasons in Thailand. He had 14 goals and 71 assists in 71 appearances during his first stint with Sporting KC. The Lebanese national team member says in a statement he has matured during his time in Thailand and is "ecstatic for the opportunity to return."